Calling freephone numbers from a mobile device would no longer incur a charge, under new plans unveiled by Ofcom on Monday. Despite 0800 numbers (and others) being completely free to call from landlines, some companies and mobile networks still charge a fee for connecting the calls from mobile devices. This will soon come to an end, under the new regime, with freephone actually meaning freephone by 2014 or 2015, if the plans are approved by stakeholders this summer. "Ofcom also intends that calls to 080 (Freephone) numbers will be made free from all telephones. At present some phone companies, particularly mobile providers, charge for calls to such numbers," the government's communications regulator said. 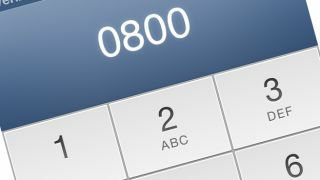 The plans are part of a wider initiative to clear up public confusion over the varying costs of calling national, "non-geographic" 08 and 09 numbers from non-BT landlines as well as mobiles. Under the proposed new system there would be a fixed access fee of around 4-5p, which would go to the phone company. After that a price per minute fee will be quoted to the caller, with all proceeds going to the company providing the service (such as directory inquiries) or seeking to make a profit (TV game shows like The X Factor et al). "It's confusing. No one can be sure what these numbers are costing. We want greater transparency," an Ofcom spokesperson told the BBC. "We are shining a light on how these numbers are charged."